SINGAPORE (April 7, 2016) — The wealth of half the tycoons on this year’s Forbes Japan Rich List rose in the past year. A good deal of the growth has come as a result of tapping foreign consumers, either through acquisition or overseas expansion, in addition to a stronger Japanese yen. The complete list can be found at www.forbes.com/japan as well as in the latest issue of Forbes Asia, available on newsstands now. The upticks in net worth occurred despite a drop in the Nikkei index, which fell 14% in the past year. The decline impacted the net worths of several tycoons on the list and was significant enough to drive down the collective wealth of Japan’s 50 richest to US$137 billion, down from $141 billion a year ago. Fashion tycoon Tadashi Yanai retains the top spot on this year’s list with a net worth of $16.3 billion, despite a $4.8 billion decline in his fortune. Fast Retailing, the parent company of clothing chain Uniqlo, had to cut its revenue forecasts when warm weather affected the sales of its cold-weather gear. Ever the optimist, Yanai is predicting that Fast Retailing will be the world’s largest apparel retailer by 2020.
around, so far with limited success. Its most profitable investment of late is its 32% stake in Chinese e-commerce giant Alibaba. At No. 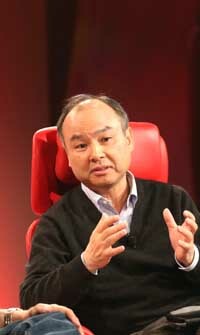 3 is 70-year old Nobutada Saji and his family with a net worth of $11.7 billion, up $800 million from last year. Saji is the Chairman of drinks powerhouse Suntory Holdings, which bought U.S. Beam, purveyor of Jim Beam and Maker’s Mark bourbon, for $16 billion in 2014. He stepped down as President in 2014, turning the reins over to a non family member for the first time since the business was founded. Saji’s nephew, Nobuhiro Torii, the great-grandson of Suntory’s Founder and a fourth generation family member, was promoted to Chief Operating Officer and Executive Vice President of the company. company’s focus on natural and organic products. Iida (No. 46, $820 million). The minimum amount required to make the list was $750 million, up from $600 million last year. ranks, wealth of extended families is included. Net worths were based on stock prices and exchange rates as of Mar. 25, 2016.